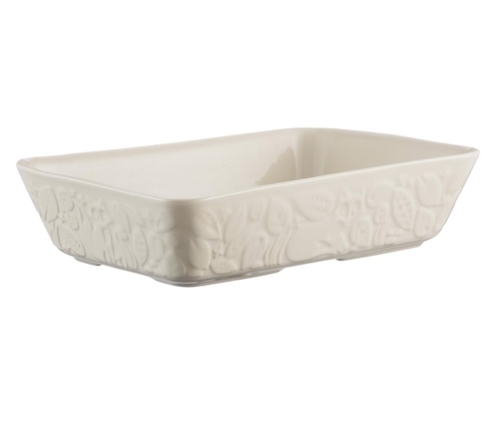 Mason Cash Rectangular Baker 12x7.5x3"
The Mason Cash In the Forest series is intricately embossed with forest scenes inspired by folk tales of the mid-19th Century. The 12x7" rectangular baker is ideal for cooking vegetables, roasts, hot pots and pies. Made from fine quality stoneware it is durable and easy to clean. Oven safe, dishwasher safe.